Some of you may be aware I was a vegan for about ten years from roughly ‘96 to ‘06. It was an informed and mindful decision based on my place in life and the understanding I had at the time. Equipped with the research available to me at the time, I believed that it’s a healthiest way of being, best for the planet and I’m not hurting any animals in the process. But in 2006 an opportunity came up to go to Japan so I chose not to miss out on all the wonderful non-vegan Japanese cuisine had to offer. The memory of tasting young sea bass Yuzu miso and smoked salmon and egg yolk sushi that completely overwhelmed my senses is still fresh in my mind. How could food taste so incredible and have such an effect on your overall sense of wellbeing. That’s when a realization that being vegan was more of a belief system rather than a decision based on solid scientific research, and research did progress in those years and so did my understanding. Looking at it in the retrospect, being vegan was stressful and I often felt deprived. It was hard to admit to it because I felt compelled to let it go as long as I could. It was my second year of TCM program, I read a few books, frequented vegan websites and overall studied the subject thoroughly. I spent a lot of time convincing myself of what I already decided I wanted to do – confirmation bias is hard to avoid – and was convinced that I was on the right track. My exercise was intense and it included running, tennis and working out in the gym. I felt good both physically and mentally though I couldn’t put on muscle or see improvements in the gym no matter how much I ate. One day I remember an acquaintance of mine who was a couple of years ahead of me in the acupuncture program who upon hearing that I was vegan gave me an solicited advise to take vitamin B12 and eat more protein since he experienced the side effects of not doing so and felt nutritional deficiencies as a vegan. He said it takes years for the body to get nutritional deficiencies and you don’t notice it until it’s too late. I remember thinking blah, blah, this won’t happen to me – I feel great – famous last words.. But I did start supplementing with vitamin B12 made sure I got plenty of protein from soy, rice, peas and hemp and took a multivitamin as a precaution. I knew I was getting plenty of calcium and Vitamin A from the green leafy vegetables. There was nothing else I felt a need for. I was wrong. That trip to Japan was a lucky break for me. Besides experiencing an amazing Japanese people, food and culture, I started noticing improvement in my energy levels, gains in the gym, mental energy and my running didn’t suffer even though I put on more muscle mass. It’s been almost 13 years since that trip and besides the strong desire to go back I also learned something about myself. I learned that it’s not just about a moral choice or a healthy choice; I also had to think of how do I come into this whole equation. If I’m not healthy and if I’m not happy is this moral and healthy choice really that? The answer isn’t easy and I’d probably still be grappling with that decision now if it weren’t for that trip. I didn’t think too long, luckily for me, and almost decided right there on the plane. Besides, this decision was purely mine and I don’t expect anyone to try to imitate it. We’re all free to choose and make those choices for ourselves and I’m not here to to influence them in either way. My goal as a healer is to help those who are vegans and vegetarians to be truer to themselves by being healthier and happier by not having to go against their moral choice due to unforeseen health issues. Why is it important to get all the right nutrients when you are a vegan or vegetarian and especially when you’re younger? Let’s discuss each of them individually. Early symptoms of B12 deficiency such as brain fog, fatigue, poor memory can start very slowly and maybe confused for getting older or written off to stress. Numbness or tingling in hands and feet can follow. That’s because B12 together with folate, involved in the production myelin sheath around the nerves and the conduction of nerve impulses. A study from Tufts University found that 40 percent to American are either deficient, near deficient or in low-normal range which is sub-optimum and can produce neurological symptoms. That’s a lot of people are going undiagnosed altogether; and the consequences of B12 deficiency are serious and can cause irreversible damage if left untreated. So why is Vitamin B12 deficiency being underdiagnosed? There are two main reasons for underdiagnosing a B12 deficiency. Firstly, doctors don’t order the test routinely and second the laboratory reference levels are too low. In the US, the reference range is 200 – 900 pg/ml and even lower in elderly. However, neurological symptoms can happen with levels of 450 pg/ml or less. In other countries the levels are much higher, for example in Japan, the levels were set to 500 -1200 pg/ml in 1980’s. At the Artupuncture Wellness Clinic I have my patients supplement if levels are 500 pg/ml or less and if other makers of vitamin B12 deficiency are present. More sensitive markers for B12 deficiency are available including methylmalonic acid (MMA) and holotranscobalamin II (holo-TC). Homocysteine is another great marker and relatively inexpensive, we run it routinely here at the Artupuncture Wellness Center. It’s great at assessing methylation deficiency, one of the main functions of B12, folic acid and Vitamin B6. I hear often that vegetarians/vegans can get vitamin B12 from plant sources like Brewer’s yeast or algae. It’s an urban myth and these foods don’t contain B12. They contain B12 analogs, called cobamides that block the intake of—and increase the need for—true vitamin B12. A reliance on these foods for B12 will all but guarantee a B12 deficiency. Despite the fact that some of the calcium rich foods are collard greens, spinach and other green vegetables, vegans are often deficient in this most abundant mineral. Besides bone health, calcium is crucial for nerve and muscle function as well as blood clotting. So why is it that calcium intake in vegans is as high as in omnivores still causes calcium deficiency? The answer lays in often-overlooked fact that calcium as well as iron is present in foods that are also high in oxalate and phytates, aka the anti-nutrients. These compounds make absorption of minerals harder though some still get through. Levels of oxalates vary with foods but are higher for example in spinach than in baby kale. Phytates on the other hand are higher in grains and seeds and also impede the mineral absorption. It is unclear to what extent the bioavailability of calcium is altered but it varies from food to food and at best is it half as absorbable and in case of spinach it is several times less absorbable than from some of the best sources of calcium such as dairy. Similar to calcium, iron absorption from vegetarian sources (nonheme iron) is much lower than from non-vegetarian sources, also know as heme iron. Studies show that vegans have a higher overall iron intake, however their levels of ferritin – the most important long term storage of iron in the body is low, indicating early stages of iron deficiency anemia. This happens because nonheme iron is harder to absorb than heme iron. The absorption of non-heme iron in people without 5-10% of the iron listed on the nutritional label. This is because during digestion, the body has to alter non-heme iron to make it more bioavailable. Heme iron is a different story; 20-100% of the heme iron consumed is absorbed from a meal. That’s the reason why vegan diets have been shown to have such a low percentage of nonheme iron absorption. Zinc is important for the immune system, cell growth, and wound healing. It’s uncommon for a doctor to measure your serum Zinc levels on your most recent visit but it’s may be important to do so especially in vegans. Vegan intake often falls below recommendations, mostly because red meat, poultry, and fish are the best sources. 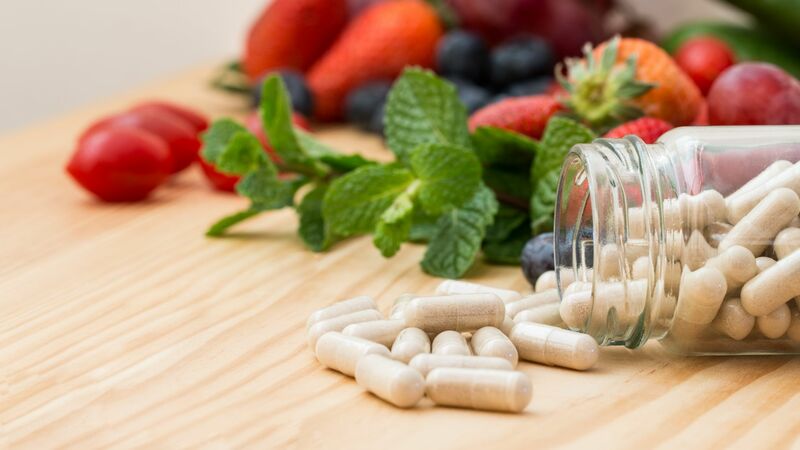 Similar to iron and calcium, the bioavailability is important; many plant foods that contain zinc also contain phytate, which inhibits zinc absorption. Vegetarian diets tend to reduce zinc absorption by about 35 percent compared with non-vegetarian diet. So even though vegan diet often exceeds the RDA for zinc, deficiency may still occur. According to one meta-analysis of 34 studies found that both zinc intakes and serum zinc concentrations were lower in vegetarians than non-vegetarians. But first a quick review: Omega 3’s are knows as polyunsaturated fatty acids (PUFA), just like their cousin Omega 6’s. They are both considered essential fatty acids because our bodies can’t synthesize them and we must get them from the diet. Omega 3’s are mainly found in fish and to a smaller extend in some nuts and seeds such as flax seeds and walnuts and Omega 6’s are much more abundant in oils, such as safflower, sunflower, canola, corn and cottonseed. Omega 3 from plant sources is called alpha-linolenic acid (ALA) and Omega 6 is called linolenic acid (LA). Fish and marine food have somewhat different Omega 3’s; I’ll get back to it in a moment. ALA from plant sources is converted to long-chain omega-3 fats eicosapentanaenoic acid (EPA) and docosahexaenoic acid (DHA) with the help of desaturase and elongase enzymes. Same enzymes also convert LA to another form of Omega 6, arachidonic acid (AA). Pretty straight forward so far, but the problem arises when the ratio of LA and ALA in our diets is skewed in favor of LA. Will call this LA/ALA ratio. Throughout 4.5 million years of hominoid evolution, diets were abundant in seafood and wild game rich in EPA and DHA but were relatively low in LA and ratio of LA/ALA was somewhere between 1:1 to 3:1. This ratio is now 20:1 and even 30:1 in most diets in the US and other industrialized countries but even worse in vegetarians and vegans. The competition for the desaturase and elongase enzymes becomes a real problem. As the ratio increases to in favor of LA, fewer enzymes are left to convert ALA to healthy EPA, DHA fatty acids. It’s different in everyone, but by some estimates we only convert 5-10% of ALA for EPA and only 2-5% for DHA. This is too low considering that the anti-inflammatory, anti-coagulatory and brain protective benefits of EPA/DHA. Not only the benefits of EPA/DHA have been undeniable, so has been the harm of AA. PUFA comprise the structure of the cell membranes and as such, serve as pools for fatty acid metabolism into more active substances (eicosanoids) that regulate various critical roles in immune and inflammatory responses. These responses are vastly depended on which fatty acid is being used. AA derived eicosanoids in general are more potent inducers of inflammation, blood vessel constriction and coagulation than eicosanoids derived from EPA. There are currently no official RDA on EPA/DHA exists, but generally agreed the daily intake of DHA and EPA is around 250 to 500 mg. In reality, vegetarians consume merely 20 mg/day of EPA and 0.4 mg/day of DHA and vegans 10 and 0 mg/day respectively, according to a study of over 14,422 Europeans. Consequently vegetarians have less than 70 percent of DHA and vegans less than 40 as compared with meat-eaters. In the same study meat-eaters’ LA/ALA ratio was 22:1, vegetarians’ 24.5:1 and vegans’ 27.5:1, frighteningly high as compared to 3:1 (lower range of the ideal ratio). Note that 22:1 ratio in meat-eater is still 7 times higher than where it should be if we all at the way our ancestors had. Hence I recommend supplementing with high potency EPA/DHA products, unless one eats fish three or more times a week and in nearly every case of veganism, vegetarianism and pregnancy. Although this is the last section of my article, it’s far from the least important. Fat-soluble vitamins A, D are nearly absent from vegan and vegetarian diets, which should come as a surprise to most readers. Fat-soluble vitamins are the most important and hardest to obtain vitamins in our body and perform a host of vital roles. There are two forms of Vitamin A, retinol and carotenoid. The retinol, or active form of the vitamin, is found only in foods that come from animals, such meat, dairy, eggs and organ meats. Carotenoids, beta-carotene being the most common one, are found in plants, specifically orange vegetables and dark leafy greens. Unfortunately, carotenoids are not bioactive and our bodies must convert it to retinol in order to be used. This conversion, similar to above discussed EPA/DHA examples, happens very inefficiently. In 1967 the Food and Agriculture Organization (FAO) and World Health Organization (WHO) released a joint recommendation that six units of carotenes should be considered equivalent to one unit of retinol, a recommendation that still stands. This is awfully inadequate especially for vegans who MUST supplement with retinol. There are other less known benefits of Vitamin D and vitamin D deficiency has been implicated in many health conditions and risks that deserves and whole new blog entry, but suffice to say many are D-eficient and what make matters worse are not exposed or don’t convert it well from the UV light – the only source for vegans and vegetarians (milk and egg yolks is being another for vegetarians). Not all Vitamin D comes from vegan sources, certain rare mushrooms have high levels but they’re hard to obtain. Most common vitamin D supplements are not vegan/vegetarian, because it’s derived from the sheep’s wool called lanolin. Excellent article! Great source of information and promotion of healthy living.